Nations across Europe, North Africa and Middle East have responded to recent attacks in France, Tunisia and Kuwait with lofty condemnations of violent extremism and kneejerk security measures that in isolation are unlikely to solve what is becoming a festering problem. To drain the swamps of radicalization, governments will have to embed security measures in policies that give disaffected youth a stake in society. EUROPEAN OFFICIALS, describing recruitment efforts by the Islamic State in Bosnia Herzegovina, mired in a toxic mix of economic malaise and ethnic tension, reportedly fear they may regret having failed to tackle the country’s structural problems in the two decades since the end of the Yugoslav wars. The regret could apply to any number of failures to tackle root problems that have prompted lone wolves to strike fear in major European cities, at tourist attractions in North Africa, and in Shiite mosques in the Gulf. They also persuaded thousands of Europeans, Arabs and others to join the Islamic State as foreign fighters; and tens of thousands to seek refuge in Europe from civil war, brutal repression, and economic despair. Across the board, democracies and autocracies alike are experiencing the blowback of decades of Band-Aid solutions, policies that failed to give youth prospects for a future with a stake in society, and repression largely unchallenged by Western governments that pay lip service to adherence to political pluralism, inclusiveness, and human and minority rights in various parts of the world, particularly the Middle East and North Africa. In the latest examples of kneejerk responses, Tunisia is deploying 1,000 armed policemen to tourist sites even as tourists leave the country en masse, and closing 80 mosques suspected of hosting radical clerics that is likely to push militants further underground. Kuwait, which displayed a remarkable degree of inclusivity with Sunnis and Shias joining hands in their condemnation of the bombing of a Shiite mosque that left 27 people dead and more than 200 others wounded, is mulling adoption of a stringent anti-terrorism law while France is passing legislation that would authorise sweeping surveillance. None of these measure address the sense of hopelessness that pervades predominantly Muslim minorities in Europe and is reinforced by increased prejudice sparked by violence and brutality perpetrated by Muslim extremists. That hopelessness is matched by despair and existential fears among youth, minorities, and alienated sects in the Middle East and North Africa. In an article in the London Review of Books, Patrick Cockburn quoted a 29-year old Syrian who fights for the Islamic State as saying: “We are fighting because both the regime and the opposition failed us, so we need an armed organisation to fight for our rights.” His words could just as well have been spoken by a European or a fighter from anywhere else in the Arab world. Rather than reducing political violence, more than a decade of war on terrorism has produced ever more virulent forms of extremism and flows of refugees. The WOT had framed efforts to counter radicalization and persuaded Western governments to revert to support of Middle Eastern and North African autocrats in the name of ensuring stability. In a display of cynicism, Western governments have exploited their support of autocracy to secure lucrative arms deals while failing to ensure levels of aid that would credibly address social and economic malaise in a country like Tunisia that is struggling with the transition from autocracy to democracy. The result of exclusively security-focussed approaches coupled with the exploitation of economic opportunity, is an increasingly insecure world in which Western and regional powers have proven incapable of defeating non-state actors like the Islamic State in Iraq and Syria (ISIS), multiple militant militias in Libya, Islamist insurgents in Egypt’s Sinai, and rebel Houthis in Yemen. Said an Egyptian militant whose non-violent anti-government activism is as much aimed at opposing the regime of general-turned-president Abdel Fattah Al Sisi as it is designed to persuade increasingly frustrated youth that there are alternatives to nihilistic violence: “The strategy of brutality, repression and restricting freedom has failed to impose subservience. It hasn’t produced solutions. Governments need to give people space. They need to prove that they are capable of addressing the problems of a youth that has lost hope. We have nothing to lose if they don’t”. Meanwhile, European nations are struggling to cope with an onslaught of refugees forced in part to flee their homelands by the policies of the very autocracies the West supports. At the same time, those autocracies refused to absorb some of those fleeing conflicts in for example Syria, Yemen and Iraq that they have helped fuel. Obviously, Western governments have a responsibility to put their own homes in order by matching lofty words of inclusiveness with actions that address high youth unemployment in migrant communities, lack of equal opportunity, and ensure that minorities are embraced as full-fledged members of society rather than perceived as a fifth column. • Reform of education systems that produce a mismatch between market demand and graduates’ skills. To be sure, there is no magic wand that will overnight turn the tide or definitively eradicate extremism. But there are a host of steps that governments could take that go beyond desperately needed social and economic policies that would create jobs and give youth a prospect for the future. Such measures would start addressing root causes of extremism in a bid to persuade those segments of society susceptible to radicalisation that they have a stake in working within the system. James M. Dorsey is a Senior Fellow at the S. Rajaratnam School of International Studies (RSIS) as Nanyang Technological University in Singapore, and co-director of the Institute of Fan Culture of the University of Würzburg, Germany. Soccer's global corruption crackdown: should the AFC worry? After American and Swiss authorities moved in on Fifa officials, who is next? Experts say Asia and Africa should be looking over their shoulders. The Asian Football Confederation is used to putting on a show. The draw ceremonies this month for the AFC Champions League and AFC Cup at the Grand Millenium in Kuala Lumpur were no exception, broadcast live on the AFC website and proceeding without a hitch. There were positive vibes all round and no hint of the chaos and fear gripping its parent body, Fifa, in the wake of corruption investigations by American and Swiss authorities. Indeed, Asia appears impervious to what is happening thousands of kilometres away in Zurich, the headquarters of Fifa. Political correctness ruled, but that is the crux of the problem, according to James M Dorsey, an academic, writer and expert on Middle East and Asian football. Dorsey says the AFC's political climate helps to create a cesspit of corruption that is ripe for dismantling. "I'll put it very bluntly. The s*** is hitting the fan in AFC," said Dorsey, a senior fellow at the S Rajaratnam School of International Studies at Singapore's Nanyang Technological University and co-director of the Institute of Fan Culture of the University of Würzburg. "First of all, no confederation can escape what is happening. The two most vulnerable confederations are Asia and Africa," said Dorsey, whose revelations in his blog, "The turbulent world of Middle East Soccer", played a part in the suspension last month and then resignation of former AFC general secretary Alex Soosay. "[Soosay] was the tip of the iceberg," he said. "One thing you have to realise is that this is not only about financial corruption. The legal cases focus on financial corruption because that's obviously where most of the infrastructure is focused on. "But the political corruption, which is endemic in the AFC, I would argue is far more important. And it enables financial corruption. "If I was with the AFC today, and others engaged with it, I would be very worried." Problems in the AFC first came to light during the reign of former president Mohamed Bin Hammam, who challenged Sepp Blatter for the presidency in 2011 but abruptly pulled out on the eve of the vote when it emerged he had given money to members of the Americas confederation (Concacaf) while campaigning. Although the Court of Arbitration for Sport annulled the ban because of insufficient evidence, a report by Pricewaterhouse Coopers - requested by AFC - unveiled a raft of financial deals involving millions of dollars under Hammam's tenure. The Qatari later quit football before being given another life ban by Fifa for "conflicts of interest" during his AFC tenure. The PwC report in 2012 made seven recommendations to the AFC, including seeking legal advice on pursuing possible criminal proceedings. However, it is not known how many of those recommendations the AFC has acted upon. Banking compliance expert Chrisol Correia, director, Global AML, LexisNexis Risk Solutions, said banks were expected to expand their security networks to include the monitoring of sporting bodies in the wake of the Fifa probe. "We fully expect that the Fifa scandal is going to spur further investigations and put many sporting authorities in the cross-hairs," said Correia. "For example, international cricket and Olympic authorities have had their own share of problems in recent years, so perhaps we could expect more regulatory scrutiny of some of these organisations' affairs. "This reality is why it is imperative for banks to reassess their risk polices and profiles so that screening technologies are configured to find and report on risks connected to sport." Dorsey says Soosay's suspension, for allegedly trying to hide the fact that he signed off on suspect transactions, is the only real action AFC has taken. And that only because it came out in the media. When asked about the PwC recommendations, the AFC sidestepped the issue by saying it had formed a special task force aimed at overseeing reform. Fifa president Sepp Blatter has resigned from his post in the wake of the corruption scandal. "The AFC has created a Governance Reform Task Force which has worked throughout the past year in order to look at governance reform and will present its recommendations to the AFC executive committee once completed," the AFC explained. "As a general principle, it goes without saying that the AFC would normally always take legal advice where its interests, or the interests of its members, could be prejudiced in any way." On whether the body knows of any investigation by outside parties, it said: "The AFC is not currently aware of any investigation by international and/or local authorities into AFC affairs." Dorsey, however, says any in-house attempt by AFC to make reforms will only be cosmetic. He wants to see the end of the "patronage system" by which almost all confederations are run and which involves smaller associations feeling indebted to bodies such as AFC and Fifa for their generous funding. "Where you have the two [political corruption and financial corruption] come together, one of the points is a patronage system," he said. "Also, the fiction that sports administrators and politics are separate needs to be dealt with. "They are intertwined at the hip and several months ago, [Thomas] Bach, president of the IOC [International Olympic Committee], admitted as much. "[So], the two structural reforms needed are the destruction of the patronage system and the realisation that sports and politics go together." Dorsey suggests taking the distribution of development funds and subsidies to member associations out of the hands of Fifa and AFC and instead entrusting the task to independent institutions. Dealing with politics within sport was another matter altogether, he said. "Politics in sports are two sides of one coin. It's there whether your like it or not," he said. "We need somehow to govern, oversee and monitor the code of conduct of norms that is the yardstick of that relationship. "The relationship needs to be regulated. Denying it exists is giving everybody a blank cheque." Dorsey says he is dumbfounded as to how AFC president Sheikh Salman bin Ibrahim Al-Khalifa is able to hold on to his position given his political background and allegations by rights groups that, as head of the Bahrain FA, he was party to the detention and torture of anti-government protesters during the Arab Spring. "Sheikh Salman is a member of the ruling family. He has never answered to well-founded allegations that he was involved in the arrest of 150 sportsmen and officials, including members of the national soccer team, some who were tortured. "How can someone even with that suspicion be a head of an organisation." AFC president Sheikh Salman bin Ibrahim Al-Khalifa faces allegations of human rights abuses. Shiekh Salman denied the accusations, saying after being elected AFC president in 2013 that "if anybody has proof the Bahrain Football Association has violated the statues of Fifa or AFC let them present it, otherwise we move to the next question". Dorsey said there are other top football figures in the AFC from United Arab Emirates and Iran who hold influential government posts as well. He said Sheikh Salman had so far buried the PwC report. "After the audit of the AFC finances, in any other institution, the results would have far-reaching consequences," he said. "It is about massive corruption and it has been buried." Organisations such as Fifa and the AFC have in the past been protected by their own non-interference laws. Both act swiftly when a government is perceived to have interfered in the workings of a member association. Indonesia's football body, for example, has been suspended because the government tried to tell PSSI how to run the game in the country. It means Indonesian players, clubs and national teams are banned from taking part in any Fifa or AFC activities. By putting a political wall between their own governance and national governments, the likes of Fifa have largely got away with whatever it is they have been doing for decades. That was until authorities from the United States and Switzerland acted last month. American authorities indicted 14 officials over allegations of racketeering and corruption involving more than US$150 million over two decades. Seven were arrested by Swiss police in Zurich. Switzerland also launched a separate investigation into how Russia and Qatar were awarded the 2018 and 2022 World Cup tournaments respectively. The Economist recently highlighted the contrast between post-revolt Asian societies and Middle Eastern and North African societies in the woes of a pro-longed, messy and bloody transition that is pockmarked by revolt and counter-revolt, sectarianism, the redrawing of post-colonial borders, and the rise of retrograde groups as revolutionary forces. Almost 30 years after they brutally crushed pro-democracy student protests, Korean police are projecting themselves as K-cops, the counterpart of K-pop, South Korea’s most popular cultural export and successful soft power tool. Korean police are largely today everything Middle Eastern and North African security forces are not. Restructuring Korean police and ensuring that its legitimacy and credibility was publicly accepted was no mean task. Much like Middle Eastern and North African security forces, Korean police emerged from regime change as the distrusted and despised enforcer of repression that had brutally suppressed dissent, killed hundreds if not thousands, and tortured regime critics. It took almost, a decade for the Korean police to launch deep-seated structural reform that gave substance to a public relations campaign designed to recast the force’s image and engender public trust. By contrast, transition in the Middle East and North Africa is in its infancy and given state and institutional resistance will likely take far longer than it did in Korea and Southeast Asia. Even so, there are lessons to be learnt from the Asian experience in political transition that has progressed to the point where Korea is projecting its K-cops internationally as models of professionalism in crowd control and the management of protest. The Korean police force has ditched the use of tear gas in favour of the lipstick line, unarmed female officers deployed as a front line defense to defuse tensions with protesters. Big-eared cartoon mascots are ubiquitous on all the police’s insignia, including traffic signs. The message underlying the approach to policing as well as the marketing campaign is as much driven by a desire to capitalize commercially on Korea’s success as it is by a desire to enhance the country’s prestige is the notion that policing in line with standards of freedom of expression, protest and dissent and adherence to human rights is more likely to ensure public order than brute force. Despite the fact that regimes in the Middle East and North Africa largely see heavy-handed repression of dissent as key to their survival, some like the United Arab Emirates and Oman, have engaged the Koreans’ advisory services in a bid to put a better face on what remain autocratic regimes. The appeal to autocracies is that smarter policing reduces the risk of repression boomeranging with resentment of security forces becoming a driver of protest as it did for youth groups in Tunisia, Egypt and Syria. By the same token, the risk for activists is that failure to reform security forces in the immediate aftermath of the toppling of an autocrat by a popular revolt, could create the circumstances conducive to a reversal of hard-won political change. Early stage security sector reform would also help enhance the credibility of a post-revolt government and confidence in its sincerity and willingness to initiate structural changes aimed at breaking with the autocratic past. 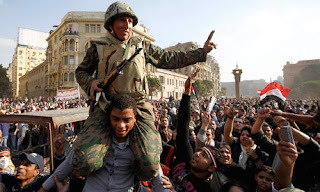 Failure to reform security forces in Egypt was at the heart of the reversal of the gains of anti-government protests in Egypt in 2011 that toppled President Hosni Mubarak. The police and security forces two years later played a major role in persuading the military to overthrow Mohammed Morsi, Egypt’s first and only democratically elected president, and introduce a dictatorship even more repressive than that of Mr. Mubarak. Political scientist Terence Lee in his recently published study of military responses to popular protests in authoritarian Asia used the examples of the brutal repression of protest in Korea in 1987, Burma in 1998 and a year later on Beijing’s Tiananmen Square to argue that the military is the ultimate arbiter of whether a popular revolt will succeeds. In doing so, Mr. Lee appears to assume that the role of the role of the military and security forces is interchangeable. That may be true for Asian countries like China and Myanmar where police, security forces and armed forces are effectively branches of the military. In the Middle East and North Africa where the military and law enforcement are separate entities with different vested interests, protesters need to play one against the other and adopt different post-revolt strategies towards each of them. The need for differentiation is reinforced by the fact that Middle Eastern and North African leaders irrespective of whether they hail from a dynasty or the military distrust their armed forces. To maintain control, Middle Eastern and North African rulers have adopted strategies towards their militaries ranging from emasculation; provision of economic perks; reliance on elite units populated by members of the ruler’s tribe, clan or family; hiring of mercenary forces; to the creation of parallel armed forces that keep each other in check. Ironically, if Myanmar were in the Middle East or North Africa it would have been in category of its own as the only autocracy ruled directly by the military in uniform. The flip side of the rulers’ different strategies is that not all Middle Eastern militaries are likely to act as monolithic units in case of a popular challenge to the regime as was the case in Tunisia and Egypt -- and Myanmar in the case of Southeast Asia -- or contain a reformist faction strong enough to swing the balance against an autocrat like happened in the Philippines and Indonesia or Syria, Yemen, and Libya, Arab countries where the military was built around tribe, sect and clan, have in the wake of mass protests descended into civil war or anarchy. For protesters, forging an alliance with the military is a double-edged sword particularly in the aftermath of the toppling of an autocrat when the interests of demonstrators and soldiers diverge. Protesters run the risk of being marginalized because they are ill-equipped and don’t have the time and wherewithal to make the transition from contentious street politics to power and backroom electoral politics. In a perverse way, Tunisians owe the fact that their country emerged from the wave of Middle Eastern and North African protests several years ago as the only relative successful democratic transition to their ousted ruler, Zine El Abdeine Ben Ali. Under Mr. Bin Al, who rose from the ranks of the security forces, the military saw its budget significantly reduced, its manpower downsized and its top leadership side lined, if not physically eliminated. As a result, the interests of the militaries in Tunisia and Myanmar were not dissimilar. In Tunisia, marginalization meant that the military had a vested interest in a change of regime that would dismantle the security force state. In Myanmar, liberalization albeit with retention of some degree of behind-the-scenes control was needed to eliminate the cost of international isolation for the nation and the ruling generals themselves. In Egypt, Mubarak’s effort to create a dynasty of his own by grooming his eldest son as his successor posed a threat to the military. Not only was he a man who had not risen in the ranks of the military, he was a neo-liberal that threatened the statist interests of the military, the largest force in the Egyptian economy. Alliances in political transition between militaries and activists tend to be short-term and short-lived. That is evident from the transitions in both Southeast Asia and the Middle East and North Africa. The interests of the two diverge as soon as an autocrat has been toppled. For the militaries in for example Myanmar and Egypt, change was not about the ideals of the revolt, but about restructuring an autocratic system in ways that ensured that their vested interests were protected. Myanmar appears to be a process of two steps forward, one step backwards. Egypt has been one of regression that led it from military rule to the election of the country’s first democratically chosen president to a military coup against him and the rise of a repressive regime that makes the Mubarak era look benign. There are no easy solutions to the management of post-revolt diverging interests. Popular forces do not have the time or the experience to make a quick and effective transition from contentious street politics to the backroom dealings of power or electoral politics. That is true even if layers of civil society that had developed over time in countries like Myanmar played a key role in forming an opportunistic alliance with the military. It is certainly true in the Middle East and North Africa where the main drivers of the revolt often were not the usual suspects – workers and trade unions or political groupings and parties—but what sociologist Asef Bayat called social non-movements like for example soccer fans. Acknowledging the post-revolt divergence of interests however does not answer the question why countries like the Philippines and Indonesia were relatively successful in making a political transition towards democracy irrespective of how imperfect those democracies may be. Lee boils the answer down to what he calls increased personalism of the autocrat as well as within the Philippine and Indonesian militaries. In Lee’s view the popular revolts provided an opportunity for some senior officers unhappy with the emergence of military personalities and the personalization of their country’s autocracy to hitch their political ambitions to those of the protesters. That may indeed be true for the individual motivations of dissenting officers. It explains dissatisfaction within the military with Marcos’ interference in appointments and promotions. Lee is also right in his observation that in Asia the militaries remained loyal to the autocratic regime like in Burma in 2007 and on Tiananmen Square because there was an absence of personalism. Yet, the aspirations and gripes of individual officers can only be part of the picture and not all autocrats interfered with military appointments. In fact, a majority of autocrats in Asia, the Middle East and North Africa did or do not. Similarly, the fact that Marcos failed to build institutions that would have fortified autocracy fails to provide a satisfactory answer. Neither does the fact that senior military officers close to General Suharto enjoyed political and economic perks that others in the command did not. Libya’s Colonel Moammar Qaddafi and Yemeni president Ali Abdullah Saleh also avoided embedding their authority in institutionalized power sharing. By the same token, Suharto’s tactic of divide and rule resembles those Arab militaries that were organized around a core of elite units bound by tribe, clan or family as was the case in Syria, Libya and Yemen. The difference was that the disenfranchised in those militaries were not members of the tribal, clan or family elite that uniformly benefitted from the autocrat’s perks but the military’s rank and file. As a result, the interests of the military’s command and key units and those of the regime remained in sync in times of domestic political crisis. The defection of senior officers or even key units in Syria and Yemen during the recent uprisings and subsequent violence do not fundamentally question that notion. The cases of the Philippines and Egypt demonstrate moreover that the military’s relationship with its US counterpart plays an important role. In both the Philippines and Egypt, a US decision to drop Washington’s support of the autocrat influenced military thinking, The relationship with the US was important to the Egyptian military given that it was independent of and not supervised by the Mubarak government. The military relied on annual US aid to the tune of $1.3 billion and arms deals that satisfied its appetite for arms and equipment and underwrote the armed forces’ military industry. As a result, the notion of personalism as an impetus for militaries to embrace political change leaves unanswered the question why personalism that characterizes Middle Eastern and North African autocracies has not played a role in attitudes of the military or key segments of Middle Eastern and North African militaries. One difference between Asia and the Middle East and North Africa is the concept of neo-patriarchy developed by the late Palestinian-American scholar Hisham Sharabi that serves to popularize autocratic personality cults. In Sharabi’s analysis, Middle Eastern and North African autocrats unlike their Asian counterparts with North Korea as an exception positioned themselves as authoritarian father figures who franchise their authoritarianism throughout the society. The autocrat is the father of the nation who sits on top of a pyramid of authoritarian fathers such as the head of government, the provincial governor, the village head and the paternalistic head of the nuclear family. In characterizing Asian autocracies, Lee draws a distinction between two kinds of autocracies: ones that are built around the person of the autocrat and ones that are built around a sharing of power by underlying institutions. In Lee’s view, autocrats who build their power around themselves like in the case of Marcos and Suharto are more prone to the risk of the military siding with protesters. That theory seems to be invalid in the Middle East and North Africa where except for perhaps in the case of Iran power sharing is not the norm. More frequently there is deliberate competition between institutions like in the case of Syria’s multiple security services that is designed to keep various forces in check. Attempting to develop a conceptual framework that enhances frameworks developed in recent decades and explains why, when and how militaries turn against the autocratic status quo and opt for political change is important not only as a key to understanding developments in the Middle East and North Africa and predicting of the role of militaries in popular revolts but also to deepening knowledge about civil-military relations. The contrast in the analysis of Asia as opposed to the Middle East and North Africa is stark. Intellectuals and scholars accepted until the eruption of popular revolts in 2011 the notion that the Middle East and North Africa were exceptional in their autocratic resilience and stability. “Academics directed their attention toward explaining the mechanisms that Arab states had developed to weather popular dissent… We in the academic community made assumptions that, as valid as they might have been in the past, turned out to be wrong in 2011… Academic specialists on Arab politics, such as myself, have quite a bit of rethinking to do… Explaining the stability of Arab authoritarians was an important analytic task, but it led some of us to underestimate the forces for change that were bubbling below, and at times above, the surface of Arab politics,” wrote political scientist and Gulf scholar F. Gregory Gause III. By contrast, Asia became the hand maiden of contemporary concepts of protest with the Philippines in 1968 coining the phrase, people power. Other factors that influence the attitudes of militaries towards popular revolts and highlight differences between Asia and the Middle East and North Africa are national identity, the role of regional powers, and donor support of civil society in autocratic societies. As a summary outline, national identity in the Middle East and North Africa has proven to be far more fragile and contentious than in Southeast Asia. That has raised the spectre of a redrawing of borders in the Middle East and North Africa and the emergence of new states based on ethnicity or sect. That is not to say that national identity is not a factor in Asia. Yet, Singapore traumatized by its departure from Malaysia has successfully managed communal relations while identity politics remain prominent in Malaysia itself as well as in Myanmar and southern Thailand. Nonetheless, unlike the Middle East and North Africa, Southeast Asian nations are not looking any time soon at a redrawal of their borders. Similarly, transition in Southeast Asia benefited from the absence of regional powers like Saudi Arabia, the United Arab Emirates and Egypt, all of which sought and seek to impose their will on other countries in the region. Finally, Arab autocrats with Egypt in the lead successfully restricted donor aid to civil society organizations in ways that their Southeast Asian counterparts appear not to have. All of this, amounts to a first tentative stab at developing an agenda for research that would enhance scholarly and policy understanding of the why, when and how of the role of militaries in processes of political change. Southeast Asia and Korea have the benefit of hindsight. The Middle East and North Africa is a messy and bloody work in progress. Revived controversy over the integrity of Qatar’s successful bid to host the 2022 World Cup and persistent criticism of the conditions of migrant labour in the Gulf state appear to have stiffened Qatar’s back as it responds to attacks on multiple fronts, including judicial inquiries in Switzerland and the United States, the media, and United Nations and human rights organizations as well as trade unions. Qatar’s hardening stance threatens to roll back its successful effort since winning the right to host the World Cup four years to convince its critics that it was serious about reform of its notorious kafala or sponsorship system that puts employees at the mercy of their employers. In the latest indication that Qatar refuses to be seen as caving in to external pressure, Qatar’s Shura or Consultative Assembly that nominally serves as the country’s legislature raised objections to the government’s draft law that would introduce changes to the kafala system. The council took issue with provisions that deal with the entry, exit and residency of migrant workers and said the law needed further study, according to The Peninsula, a Qatari newspaper. Underlining Qatar’s refusal to be seen to be bullied, Al Sharq, a Qatari news portal, quoted council chairman Mohammed bin Mubarak Al Khulaifi as saying that there was no need to rush the draft law. Activists noted that the council recommendations backtracked on proposals put forward by law firm DLA Piper in a report commissioned by the government as well as suggestions made by the ILO. The proposal also contradicted submissions made by Qatar to the ILO in January. Qatar told the ILO that “the draft law which relates to the annulment of the kafala system and its replacement by a contract system has been explicitly announced. In addition, the term employer’ replaced the former term used which was master of work...’ The draft law also provides for an amendment to the provisions relating to the ‘release permit’ (to be released from employment), which will allow a worker to request a ‘release permit’ from the competent government body without going back to the employer. The council’s criticism and proposals do little to alter the dependent status of workers or modify, if not eradicate, the exit visa or release permit system that has caused numerous problems for foreign employees in violation of international standards. It is likely to cast further doubt on Qatar’s sincerity, provoke harsh criticism from activists as well as the International Labour Organization (ILO), and perpetuate an emerging vicious cycle of increased criticism of the Gulf state and declining Qatari willingness to work with its critics. the exit visa system be maintained. The Doha-based and government-funded International Centre for Sport Security (ICSS) was meanwhile expected to detail its efforts to boost transparency in bidding processes for major sporting events and combat financial malpractice in professional sport at a news conference in Washington. The media effort was designed to position Qatar at the forefront of the battle to force FIFA and its regional confederations to become more transparent in the wake of the multiple corruption scandals. “ICSS encourages and supports any proactive ‎action that targets corruption in sport governing bodies by law enforcement agencies and / or governments,” the group said in response to last month’s arrest by Swiss police at the behest of the US Department of Justice of a number of senior officials of FIFA and its regional federations in the Americas on corruption-related charges. Like he promises for labour reform, the ICSS effort is likely to ring hollow as long as Qatar refuses to be publicly transparent about its bid and willing to confront in detail numerous allegations detailed among others in disclosures in The Sunday Times based on millions of documents allegedly obtained from a server of the Asian Football Confederation (AFC), a bastion of non-transparency. Foreign contractors report meanwhile delays and mothballing of some of the projects included in Qatar’s $200 billion investment in infrastructure. Not all of the planned investment is World Cup-related. Among projects delayed are according to Reuters a $12 billion bridge and underwater tunnel, a chemicals plant and the Doha Grand Park. It was not clear if the downsizing was exclusively the result of reduced income as a result of lower oil prices as Qatar braces itself for its first budget deficit in 15 years or whether it was reflected uncertainty over the status of the soccer tournament in light of judicial investigations in the United States and Switzerland. The investigations involve probing of the integrity of the Gulf state’s successful but controversial bid. The investigations stem from the worst corruption scandal in soccer history that prompted FIFA president Sepp Blatter to resign earlier this month. Qatar nonetheless is signalling that it is determined by hook or by crook to successfully implement its sport strategy that is designed to turn the Gulf state into a global hub even if the soft power aspect of the strategy fails as a result of the multiple controversies. Forbes quoted an unidentified sport manager as saying that Qatar Sports Investment, a subsidiary of Qatar’s sovereign wealth fund that owns top French soccer club Paris Saint Germain, was part of a joint venture negotiating to acquire effective control of Formula One at a cost of at least $7 billion. The bid follows a veto by Bahrain, an FI race host, against Qatar also hosting the world’s most-watched annual sports series. Viewer numbers are important given Qatar’s concerted effort to occupy a central space in the hearts and minds of sports fans through BelN, the sports channel of the Gulf state’s Al Jazeera television network. News reports said Qatar was bidding up to $1.5 billion for Digiturk that has 3.3 million subscribers and owns the broadcast rights of the Turkish Football League. Sports broadcasting is unlikely to be able to compensate for the uncountable number of hearts and minds Qatar has lost as a result of its handling of the corruption allegations and its failure to follow its labour-related words with deeds. Qatar at this point may not care. A sense of having been dealt an unfair hand by the media and others and that criticism by some is levelled to score points has hardened Qatari attitudes against a backdrop of a minority citizenry fearful that reforms risk loss of control of its culture, society and state. “Qatar may lose the public relations war but it will do what it takes to keep the World Cup hosting rights. 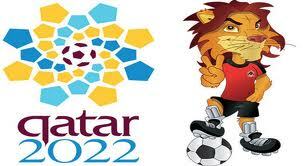 It will cut whatever deals necessary and use beholden business and investment lobbies to keep the World Cup in Qatar. The emir cannot afford to lose it,” said a long-standing observer of Qatari society and politics. US and Arab military strategies across the Middle East and North Africa have failed to reverse the rise of often retrograde rebel forces in Iraq, Syria, Yemen and Libya. This stems from a refusal to acknowledge a new reality: the region is in the throes of violent, political transition that will inevitably redraw the map along ethnic and sectarian lines. THE MILITARY strategies of the United States and its regional allies focused on bombing campaigns, support for local militias, and inherently weak military forces to fight potential ground battles, have failed to defeat rebel forces in Syria, Iraq, Yemen, and Libya. Calls for the introduction of ground forces against Islamic State (IS), the jihadist group that controls a swathe of Syria and Iraq, and the Houthis in Yemen, or pumping up the number of US military personnel advising and training the Iraqi armed forces are unlikely to turn the tide. If anything, the Marxist notion that things will get worse before they get better is nowhere more applicable than in the Middle East and North Africa. Countries like Lebanon, Jordan, Saudi Arabia and Algeria, despite influxes of large numbers of refugees and/or occasional jihadist attacks, have so far succeeded in keeping strife beyond their borders. Egypt is waging a ruthless campaign against jihadist and Bedouin groups in the northern Sinai; coupled with its brutal repression of dissent, this has turned the peninsula’s population against the regime of general-turned-president Abdel Fattah Al Sisi and threatens a rise in violence in major population centres. Bahrain, where a Saudi-backed minority regime suppressed a majority Shia revolt in 2011, is a powder keg waiting to be lit. At the heart of the region’s multiple wars and the rise of jihadist, ethnic and sectarian forces as dominant players in areas of conflict, is the quest for political transition that started off peacefully in 2011 with popular uprisings. With few exceptions like Morocco, these were countered with either brute force as in Syria and Bahrain, or counterrevolutionary moves like the 2013 military coup in Egypt, and Saudi undermining of a real political transition in Yemen. The only exception is Tunisia where transition towards a democracy has progressed. Ironically, disparate forces of change like IS, the Houthis, and the Kurds, and counterrevolutionary forces headed by Saudi Arabia and the United Arab Emirates, agree tacitly on one thing: pursuing their divergent goals involves a violent and bloody process that will carve up various states into ethnic and sectarian entities. Syria and Iraq are effectively nation states of the past. Yemen could split into two or three states. Libya faces a similar prospect. Most analysts have written off the popular protests of 2011 that toppled the leaders of Tunisia, Egypt, Libya and Yemen as a blip in history. That view is reinforced by the rise of jihadist forces and the exponential increase in number of foreign fighters in Syria and Iraq from all corners of the world, with the fear of blowback in Southeast Asia and the West. The reality may be very different. Refusal to nurture peaceful political change and address failed social and economic policies of autocratic regimes across the Middle East and North Africa, as well as towards Muslim immigrant communities in Europe, has cut off avenues of non-violent political expression and the venting of frustration and pent-up anger. Brutal, repressive policies fuel radicalisation with many youth vacillating between apathy that could explode at any minute, and despair that often projects religiously-packaged, nihilistic violence as their only option. Military strategies that are not grounded in acceptance of the Middle East and North Africa’s new realities are likely to exacerbate rather than ameliorate forces of political change. That acceptance would have to involve a plethora of US and Western policies that uncompromisingly link military aid to adoption of inclusive, non-sectarian, and non-repressive policies at home and in the region by its Middle Eastern and North African allies. It would also have to involve acceptance that extremist and jihadist groups are, at the end of the day, political animals. Today, there may be no basis for discussion with IS. There may never be, despite the fact that IS is a political reality that is not about to disappear soon. Nonetheless, extremist groups are dynamic, not static; they adapt to political realities. IS’ successful military adaptation to realities on the ground is a case in point. So are changing, if only tactical, approaches by Jabhat al-Nusra, the Al Qaeda affiliate in Syria, in areas it controls. Israeli officials privately concede that Hamas, the Islamist militia that controls the Gaza Strip, has accepted a two-state solution to the Israeli-Palestinian conflict. The problem is lack of political will on both sides and disagreement on the terms of negotiation. US-led negotiations with Iran to resolve the nuclear crisis have served as a lightning rod that justifies sectarian policies which Saudi Arabia adopted on a global scale after the Iranian popular revolt in 1979 toppled the Shah. That has translated into discrimination of Shiite communities in the kingdom, Bahrain and Kuwait, and an unproductive, devastating bombing campaign in Yemen. The rise of Shiite nationalism in Iraq constitutes the writing on the wall. The implications of such a stance are not that they will further empower an allegedly expansionary, imperial Iran and jihadist groups, and threaten the stability of US allies. Things will get worse in the Middle East and North Africa no matter what, and the stability of autocratic regimes remains in question. Military strategies need to recognise that the Middle East and North Africa are in the throes of a brutal process of change that is likely to play out over the years. Attempting to halt the process is futile; nurturing it with policies that encourage non-violent, non-sectarian change - even if it means a redrawing of the region’s map and regime change - will ultimately far better serve the reestablishment of regional peace and security. Short-term deterioration may be the price for long-term stability. Transparency appears nowhere on the radar of Asian soccer governors as global soccer reels from the worst crisis in the sport’s history. That was evident in a terse statement issued by the Asian Football Confederation (AFC) announcing the resignation of its suspended general secretary, Dato Alex Soosay. The statement made no mention of Mr. Soosay’s suspension, an investigation into the general secretary’s apparent attempt to tamper or hide documents related to an audit that uncovered suspected extensive corruption but has since been buried, or the fact that the AFC was forced to relieve Mr. Soosay of his duties after this blog revealed his attempts to obstruct the audit. It also did not explain whether it would take action against the group’s finance director, Bryan Kuan Wee Hoong, who rejected Mr. Soosay’s alleged attempt but in the three years since did not deem it necessary to report the incident. 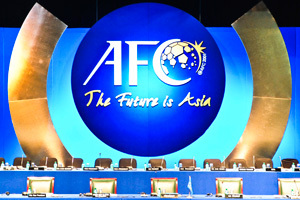 The AFC’s effort to project Mr. Soosay’s departure as a run-of-the-mill resignation rather than the tip of an iceberg of mismanagement and potentially dubious dealings follows its earlier attempt to steer attention away from the audit by falsely announcing at the time of Mr. Soosay’s suspension that it was related to a FIFA investigation rather than to the audit conducted by PricewaterhouseCooper (PwC). Similarly, at a time that the judicial investigations have focused attention on the relationships between soccer executives and sport marketing companies, the AFC has yet to disclose the status of the investigation it announced into Mr. Soosay’s affairs, let alone how it intends to act on the wider ramification of the secretary general’s departure that involve recommendations of the audit that it has sought to bury for the past three years. Burial of that audit is all the more conspicuous since the eruption of the FIFA scandal. The audit documented multiple questionable payments by disgraced former AFC president and FIFA vice president Mohammed Bin Hammam. 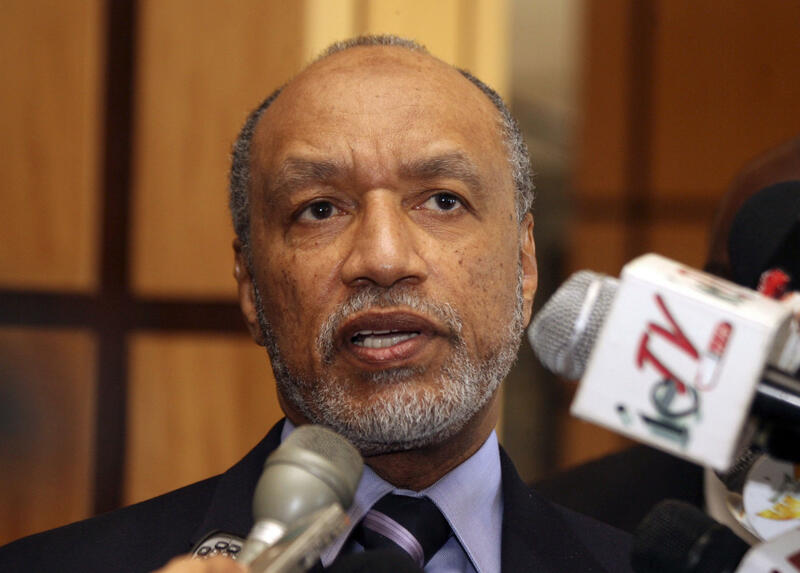 Mr. Bin Hammam is believed to be one of the unidentified co-conspirators in the US indictments. He is also central to the Swiss investigation of FIFA’s awarding of the 2018 World Cup to Russia and the 2022 tournament to Qatar. The audit also raised serious questions about the AFC’s $1 billion marketing rights agreement with Singapore-based World Sport Group (WSG) and warned that the contract potentially could expose the AFC to charges of tax evasion, bribery, money laundering, and sanctions busting. If anything, the AFC’s approach suggests that it believes that despite the global soccer governance crisis it can conduct business as usual with impunity. Its approach appears to justify widespread belief that FIFA and its regional confederations are incapable of putting their own house in order and that change can only be achieved if driven by external judicial and other forces. AFC president Sheikh Salman Bin Ebrahim Al Khalifa’s only known action related to the audit beyond ensuring that there would be no follow-up was the suspension and ultimate departure of Mr. Soosay. The AFC has been similarly evasive in commenting on the crisis in global soccer governance that erupted last month on the eve of a FIFA congress with the early morning arrests of officials in Zurich, the raiding of the headquarters of FIFA in Zurich and of the Confederation of North, Central American and Caribbean Association Football (CONCACAF) in Miami, and ultimately the resignation of FIFA president Sepp Blatter. The AFC has also yet to reveal what consequences it is drawing from the crisis in terms of reforms that would ensure good governance. “The Asian Football Confederation confirms its position as previously outlined, namely that the AFC takes note of the FIFA president's intention to step down at an extraordinary congress scheduled to be called later this year or early 2016, which will be the subject of the upcoming FIFA Executive Committee meeting on 20 July. AFC fully respects the decision of the FIFA president to step down and is sure that it was taken after deep and careful consideration,” was the sum all of what the AFC said. The report comes at a time that Qatar’s hosting of the 2022 World Cup is under increased scrutiny as a result of the corruption scandal that has rocked world soccer body FIFA and mounting criticism of Qatar’s failure to make good on promises to improve the working and living standards of migrant workers who constitute a majority of the population. Investigations in the United States and Switzerland are probing the integrity of the Qatari bid. In the latest World Cup-related allegations, a Monaco bank account opened by disgraced former Brazilian Football Association president and FIFA vice-president Ricardo Teixeira two years after the FIFA vote in favour of Qatar showed millions of dollars in payments by a Qatari construction company believed to have sponsored a Brazil-Argentina friendly in Doha in advance of the awarding of the World Cup. The ILO report, based on a year-long enquiry in response to a complaint by the ITF and the International Trade Union Confederation (ITUC), is also likely to impact other Gulf states like the United Arab Emirates that have been targeted by activists and could focus attention on labour relations at the region’s other major airlines. That is particularly true given that the ILO decision comes as Qatar Airways alongside two other Gulf airlines, Emirates and Ettihad, both based in the UAE, is locked into battles with American carriers who allege that they have distorted competition by benefiting from tens of billions of dollars in government subsidies. The Gulf airlines have denied the allegation. Qatar Airways has hinted that the dispute potentially could lead to its departure from Oneworld, one of three global airline alliances. Qatar Airways CEO Akbar Al Baker dismissed the ILO report, linking it to the dispute with US carriers. “I don’t give a damn about the ILO – I am there to run a successful airline. 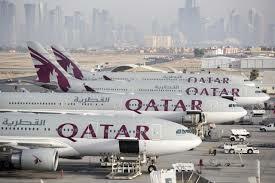 This is evidence of a vendetta they have against Qatar Airways and my country. My country has responded to the ILO accusations in a very robust way. We clarified the clauses in our contract,” Reuters quoted Mr. Al Baker as saying on the side lines of the International Paris Air Show. Mr. Al Baker’s comments were in line with Qatar’s recently adopted approach to reject criticism of its World Cup bid and pressure on the labour issue as racially motivated and constituting a concerted campaign to discredit the Gulf state. While Qatar is not unjustified in its view that debate about the Gulf state is driven by ulterior motives among some of its critics as well as prejudice, the Gulf state has used the strategy to evade answering specific questions and being more transparent in its responses. To be fair, however, Qatar Airways has addressed some but not all of the ILO’s concerns in changes to its employment contracts. The vast majority of the airlines’ cabin crews are women while migrant workers account for 90 percent of its work force. The report is nonetheless likely to cast further doubt on the sincerity of Qatari promises to reform its kafala or sponsorship system that puts employees at the mercy of their employers and increase pressure on the Gulf state to demonstrate that its engagement in recent years with human rights and trade union activists was more than a façade. By putting responsibility for Qatari Airways employment policies on the shoulders of the government, the report effectively targeted the top leadership in a country in which decision-making is highly centralized. It did so at a politically sensitive moment. Mounting questioning about the integrity of the Qatari World Cup bid and of labour relations in the Gulf state has on the one hand reinforced popular support for hosting the tournament in a burst of nationalist feeling. Yet, while on the one hand welcome, greater nationalist sentiment complicates the government’s ability to tinker with the labour system in a country where the citizenry accounts for a mere 12 percent of the population and fears that any concession would threaten the purity of their culture as well as their grip on society and the state. The report moreover targets what is perhaps the most successful pillar of Qatar’s multi-pronged soft power strategy. Qatar Airways as a world class airline with top service alongside Doha’s new Hamad International Airport has been effective in projecting the Gulf state’s image and positioning it as a hub linking continents. The report charged that Qatar Airways with the backing of the government practices gender discrimination in violation of the ILO convention by retaining the contractual right to fire cabin crew that become pregnant and forbidding female employs to be dropped off at or picked up from company premises by a man other than their father, brother or husband. In contrast to Qatar Airways, other pillars of Qatar’s soft power strategy have proven less successful. The World Cup has turned out to be a double-edged sword given the controversy it has sparked and Qatar’s feeble response. Qatar’s high-paced, mediation-focussed foreign policy has won praise for the Gulf state’s ability to achieve the release of hostages held by groups the West refuses to deal with and its success in bringing parties to the negotiating table that have been fighting each other on the battlefield. At the same time, Qatar’s relationships to those groups, including Hamas, the Islamist militia that controls the Gaza Strip, the Muslim Brotherhood, and other Islamist groups, has made it a target among conservatives in the West and Israel despite willingness to use the Gulf state’s good offices. High profile Qatari investment in Western real estate and the arts have largely been seen as the whims of the rulers of one of the world’s richest states. “The gaze of world opinion is locked on the behaviour of the Qatari government – over Qatar Airways, over its abhorrent treatment of migrant workers, and over the World Cup. In Geneva today Qatar has been proved wanting. We have shown that money doesn’t buy silence. The nation is on trial. It cannot evade its responsibilities. It has to begin to do the right thing,” gloated ITUC general secretary Sharan Burrow. SYRIAN DRUZE have become the next potential flashpoint in a proxy war between Saudi Arabia, Iran and Israel that is exacerbating the Middle East’s multiple conflicts. With rebel forces advancing towards the mountainous Druze stronghold in north-western Syria, this month’s killing by Jabhat al-Nusra jihadists of 23 members of a Druze clan in Idlib province set off alarm bells in Damascus, Jerusalem and Riyadh as well as in Druze communities in Israel, Syria and Lebanon. The killings occurred, according to the Syrian Observatory, a British-based monitoring group, after a Tunisian al-Nusra commander tried to confiscate a house belonging to a Druze who allegedly was loyal to the Syrian government. Jabhat al-Nusrat apologized for the incident, saying in a statement that the killings had not been authorized by the group. As al Nusra-led forces advanced on Jebel Druze, home to 450,000 of Syria’s 600,000 Druze, regional concern was fuelled by the political fallout of a potential massacre and the region’s strategic position close to the Turkish border, 22 kilometres from embattled Aleppo, Syria’s largest, war-ravaged city; 40 kilometres from Jordan; and some 80 kms from Israel. The Druze redoubt is also threatened on its eastern flank by forces of the Islamic State, an Al-Nusra rival. Alarm in Druze communities outside Syria is further informed by military setbacks suffered by the Syrian military in recent months and the effective withdrawal of Syrian forces and government proxies, including Lebanon’s Shiite Muslim Hezbollah militia, from areas deemed not strategic. The Syrian army’s 52nd brigade withdrew to Damascus earlier this month from its base west of Jebel Druze. The impending jihadi assault on Jebel Druze poses a stark policy dilemma for Israel, home to 130,000 Druze, the only-non-Jewish group that serves in the Israeli military. With Israeli Druze, including senior officers in the military and border police, pressuring the government to go to the rescue of their Syrian brethren, Israeli President Reuven Rivlin told visiting Chairman of the Joint US Chiefs of Staff, Gen. Martin Dempsey last week that “what is going on just now is intimidation and threat to the very existence of half a million Druze on the Druze Mount, which is very close to the Israeli border.” Haaretz reported that Israel had asked Dempsey to aid the Syrian Druze. Israel has two choices: break with its policy of not intervening directly in the Syrian civil war by arming the Druze, a secretive offshoot of Islam widely viewed as heretics by orthodox Sunnis, to enable them to fend off a jihadi attack or brace itself for a stream of Syrian Druze refugees and moral culpability for the possible massacre of large numbers because of their religious beliefs. Mitigating in favour of intervention is not just the Israeli government’s need to cater to a key domestic community but also a desire to counter a Syrian government proposal to arm the Druze in exchange for a pledge that those weapons would not be used against government forces. Syrian Druze acceptance of the government’s offer would, in Israeli and Saudi eyes, effectively expand Iranian influence. There is no guarantee however that aiding the Druze militarily would prevent a jihadist conquest of their mountain redoubt and prevent a refugee exodus to neighbouring countries. Complicating the Israeli decision is a three-way split in the Syrian Druze leadership with some leaders inclined to accept the Syrian government’s offer, others wanting to join non-jihadi rebel forces, and a third group arguing in favour of the Druze remaining neutral in the Syrian conflict. Israeli reluctance to intervene on behalf of the Druze is reinforced by al-Nusra’s recent pragmatism that has led it in recent months to cooperate with a host of rival and non-jihadi forces, persuaded it not to impose its puritan view of Islamic law in areas it controls in cooperation with the Army of Conquest, a rebel alliance, and prompted it to promise not to suppress religious minorities as long as they do not take up arms against it. Israel moreover is hesitant to mount an operation that according to DEBKAFile, a news website with close ties to the Israeli military, would entail establishing the infrastructure to train and arm up to 30,000 Druze fighters. Al-Nusra leader Abu Mohammed al-Julani recently said on Al Jazeera that Druze would not be targeted despite the fact that he had sent envoys to Druze villages to "inform them of the doctrinal pitfalls they have fallen into." Activists in Idlib, however, told the BBC that hundreds of Druze in Idlib had been forced to convert to Sunni Islam and Druze graves and shrines had been desecrated. Israel’s debate about how to respond to Druze pressure appears nonetheless to be tending towards maintaining the policy of not intervening directly and persuading the United States and Jordan to provide military support to the Druze through channels existing as a result of Jordan-based support for non-jihadi forces in Syria. Israel’s proposal would also take off the hook Saudi Arabia, which is part of the Jordanian operation and reportedly funds Al-Nusra, by allowing it to maintain arms’ length from support of a group that its Wahhabi ideologues view as beyond the Muslim pale, while seeking to curtail an expansion of Iranian influence. Israel is also preparing to provide humanitarian aid to Khadr, a Druze village on the Golan Heights, and the only outpost on the line dividing Israel and Syria that is not controlled by rebels. Seven residents of Khadr were reportedly killed by rebels earlier this month. With no good alternatives, Israeli leaders have so far refrained from commenting publicly on the impending Druze crisis. Time is however running out and likely to force an Israeli decision sooner rather than later. James M. Dorsey is a senior fellow at the S. Rajaratnam School of International Studies as Nanyang Technological University in Singapore, and co-director of the Institute of Fan Culture of the University of Würzburg.